“CEO” is the newest addition to several Goodacre sculptures on campus and depicts a business woman on the move. 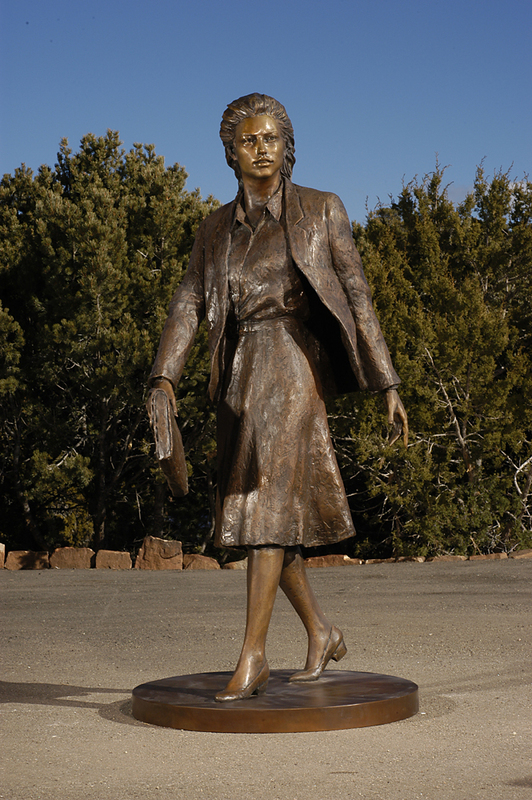 Sculptor and Lubbock native Glenna Goodacre will gift a special piece from her collection to the Texas Tech University Rawls College of Business on Rawls Day, Tuesday (Sept. 13), at the unveiling of the college's building addition. The gifting coincides with Goodacre's retirement from a 50-year career of sculpting. 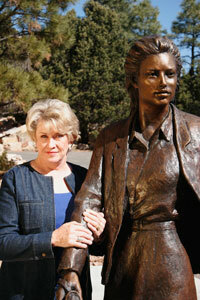 Anthony said the name of the sculpture was given out of respect for women business leaders. Goodacre is the CEO of her own corporation, which was established in 1979. Anthony said Goodacre has cleared out her studio and given her sculpting tools, clay and studio equipment to the New Mexico School For The Arts, an arts-based high school in her hometown of Santa Fe. Goodacre's corporation will be dissolved by the end of 2016, he said. 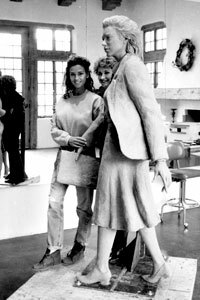 Jill Goodacre Connick, Glenna Goodacre, and the clay original for CEO in the artist's Santa Fe studio in 1985. "She is destroying her molds for existing sculptures, has ceased making new works and is selling or gifting pieces from her private collection," Anthony said. On March 16, Anthony said he approached Ryan Todd, Rawls director of development, and Interim Dean Paul Goebel about gifting the sculpture to the college. "At the end of April, the sculpture was enthusiastically approved by the Board of Regents and accepted by the Texas Tech Public Art Program," Anthony said. "A site was chosen for the piece near areas for study and dining in the east courtyard of the new expansion." 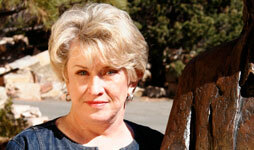 Goodacre has had a long relationship with Texas Tech, with many of her works appearing on campus. The largest piece is the towering standing statue of former Texas Gov. Preston Smith at the Administration Building. The most popular is "Park Place at Talkington Plaza" in front of the College of Human Sciences near the east entrance to the campus. A favorite among young visitors to the Museum of Texas Tech is "Tug O' War" at the front entrance to the museum. Goodacre's parents graduated from Texas Tech, her mother, Melba Tatom Maxey, in 1933 and her father, Homer G. Maxey, in 1931. For more information about Goodacre, visit her website. For more information about the Rawls College of Business, visit the website. The Texas Tech University System's Public Art Program was initiated by the Board of Regents as an investment in the campus environment and an extension of Texas Tech's educational mission. The Public Art Committee, with the Public Art Manager, commissions original public artworks of the highest quality, be they permanently sited, portable, or architecturally integrated. These works are funded using one percent (1%) of the estimated total cost of each new major capital project.